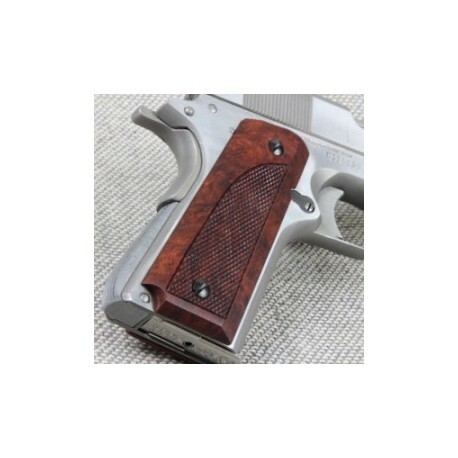 Kimber Ultra Carry II There are 6 products in this category. 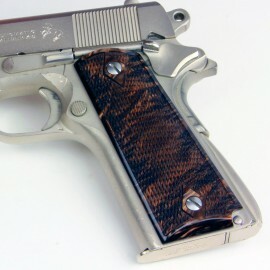 Grips for Kimber's Ultra Carry II using Colt Officer's sized grips. 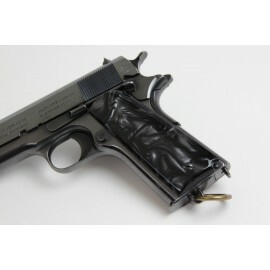 Fits : Officer's Compact 1911 Colt Officer's Compact 1911 Kirinite® Oyster Grips Kirinite® - The Ultimate Grip Material Eagle Grips proudly introduces Kirinite™!!! 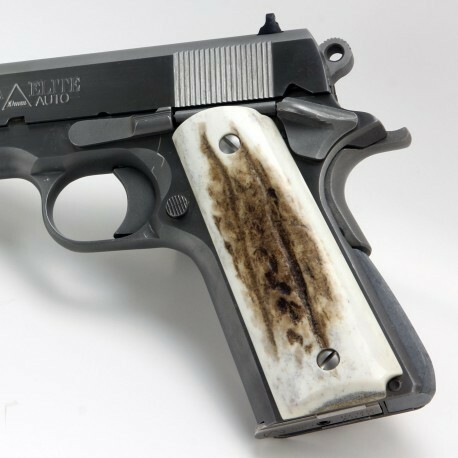 Colt Officer's Compact 1911 Kirinite® Oyster Grips Kirinite® - The Ultimate Grip Material Eagle Grips proudly introduces Kirinite™!!! Fits : Officer's 1911 Officer's 1911 - Kirinite® Emerald Pearl Pistol Grips Made from our revolutionary high-tech Kirinite™, these grips are as tough as they are beautiful. 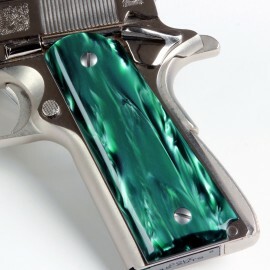 Officer's 1911 - Kirinite® Emerald Pearl Pistol Grips Made from our revolutionary high-tech Kirinite™, these grips are as tough as they are beautiful. 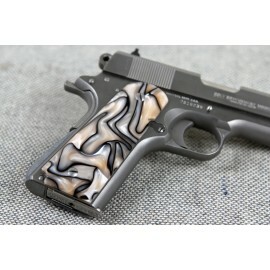 Fits : Officer's 1911 Made from our revolutionary high-tech Kirinite®, these grips are as tough as they are beautiful. Made from our revolutionary high-tech Kirinite®, these grips are as tough as they are beautiful. 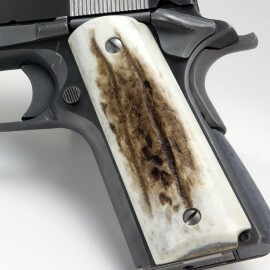 Fits : Officer's 1911 Officer's 1911 Series Kirinite® Goddess Pistol Grips Made from our revolutionary high-tech Kirinite®, these grips are as tough as they are beautiful. 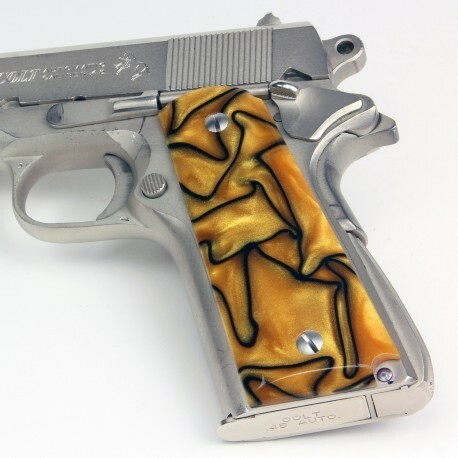 Officer's 1911 Series Kirinite® Goddess Pistol Grips Made from our revolutionary high-tech Kirinite®, these grips are as tough as they are beautiful. Fits : Officer's 1911 Officer's 1911 - Kirinite® 1911 Pistol Grips - Wicked Purple Made from our revolutionary high-tech Kirinite™, these grips are as tough as they are beautiful. 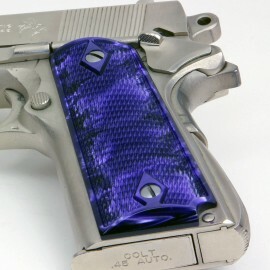 Officer's 1911 - Kirinite® 1911 Pistol Grips - Wicked Purple Made from our revolutionary high-tech Kirinite™, these grips are as tough as they are beautiful.